When Maurice Dupont was at primary school, his best friend's father had a boat-building yard at Saujon, in Charente Maritime. The two boys often spent their spare time there and discoveres that extraordinary material which is wood. The father also made wooden model planes. On moving to Cognac at the age of 12, with boats no longer available to him, Maurice started to build his own small-scale planes. At that time, remote controls did not exist; it was free-flight and he had to run after the planes to recover them - when possible ! During the same period he played rugby (continuing, in fact, to the age of 30), a game which helped him to develop a sense of team spirit. 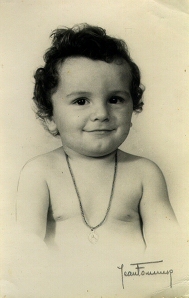 passionate about machines, he had a fun repairing the family toys and bikes before moving on to motorized bicycles. At secondary school he chose a career in technology, and later began a course in construction engineering at the Engineering Faculty of the Bordeaux IUT, the University Institute. Whilst there, he discovered the craft of stringed-instrument making and decided to take it up. By the age of 17 Maurice had built a dulcimer and, at 18, an electric guitar from instructions in a DIY magazine. Because there was no school teaching the techniques of stringed instruments making, and as he was too old by then to go to Mirecourt, the string quartet school, the alternatives were either to study abroad or teach himself. He decided to go to Paris where Jacques Favino, George Brassens's guitar maker, opened his workshop to him. Through observation, Maurice learnt a great deal from Favino, whilst his son, Jean-Pierre, advised Maurice tu study cabinet making; this he did in the Vendée. 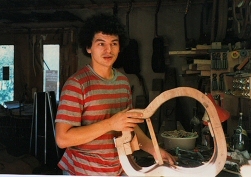 Now qualified, Maurice made a hurdy-gurdy which he swowed to the manufacturer CAMAC in Nantes and was taken on there as a musical instrument maker. In 1981, he settled in Boutiers, near Cognac in the Charente, in a 500sq ft building. 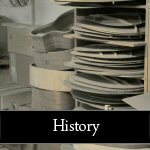 From the beginning, he devoted himself principally to making guitars, but also repaired all types of instruments. Little by little, he started to sell his work and began to employ staff. Concentrating on classical guitars he paid particular attention to the wood-working side, but at the same time sought the best sound quality. This constant search for quality later led him to work with Roland Dyens and Roberto Aussel. 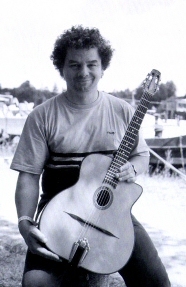 In 1989, Maurice Dupont received the title of Meilleur Ouvrier de France - Best French Craftsperson - for the production of a classical guitar. 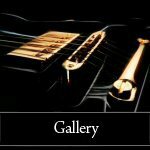 In 1986, Maurice made the first copy of the Selmer-Maccaferri type of guitar at the request of Lucien Viollet, a gypsy guitarist with the band Romano Swing. 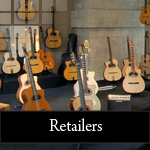 These Gypsy guitars have since become the leading product of the workshop, representing about 50 per cent of guitar sales. This international renown has been built up thanks to the confidence of artists like Raphael Fays, Biréli Lagrène, Marc Fosset, as well as Romane with whom Maurice has begun an even closer collaboration. 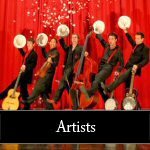 The rest of the production is represented by classical, steel string, flat top, archtop and electric guitars. 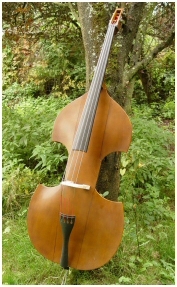 Moreover, being ever curious and passionate, Maurice has made instruments to special request, like the Hawaïan guitar Weissenborn, acoustic bass, electric bass, banjos and even folding double-basses. In instrument making, sourcing certain parts is problematic. The solution was to create an engineering workshop alongside the existing facility. Similary, by installing his own wood-seasoning space and sawmill, Maurice now has total control of the quality of woods used. Maurice Dupont likes collaborative working. To arrive at his present team of guitar makers, he has trained over 30 people. Several of his former apprentices have turned to marquetry, cabinet making or have even set up their own workshops, for example, P. Ducroz (Savoie), J-P Sardin (Barcelone), A. Mazaud (Normandie), F. Bélier (Gironde), C. Huort (Vienne). In conclusion, having started alone in his 500sq. ft. space, 27 years later Maurice Dupont has expended his business to a team of 14 people working in a 5000sq. ft. building, with its own engineering workshop, wood store and sawmill. It is now the biggest guitar- making workshop in France. He is also here on the web and each year about 500 instruments are made and sent all over the world . And the future? Always a visionary, Maurice Dupont latest project is building amplifiers and pickups for electric or acoustic guitars.